The Kilimanjaro Team embarked on their epic journey on Sunday evening 22nd October 2012 and expect to reach the summit of Mt Kilimanjaro at midnight on the 29th October 2012. At the summit, the ‘OLDIES’, on behalf of the Dr. Ian Player + the late Magqubu Ntombela, will be handing over the responsibility of saving the rhino from extinction to the RHINO SA youth climbers Robby Morais and Sandile Masondo. Once this handover has taken place the whole team (including the middle generation of fathers) will be launching the RHINO SA GLOBAL YOUTH EDUCATION + AWARENESS CAMPAIGN from the top of Mt. Kilimanjaro and appealing to the youth of the world to help the South African youth save the species. There are a group of 10 men , 60 – 72yrs old, all known each other for more than 40 years. Johannesburg - South African conservationists have unveiled a plan to sell rhino horns legally and directly to Chinese pharmaceutical companies, The Star reported on Friday. "Let's try it out for five years and see what impact it has," Ezemvelo KwaZulu-Natal Wildlife's former conservation planning chief Roger Porter said in Durban on Thursday, as the formal proposal was presented to the International Wildlife Management Congress. He said the horns would be sold in the same way diamonds were sold by the De Beers corporation. The Star reported the price would be controlled by a central selling organisation, with sales held at OR Tambo International Airport in Johannesburg four times a year. The money used from horn sales would be used to fund rhino conservation efforts. More than 270 rhino had been slaughtered for their horns so far this year. 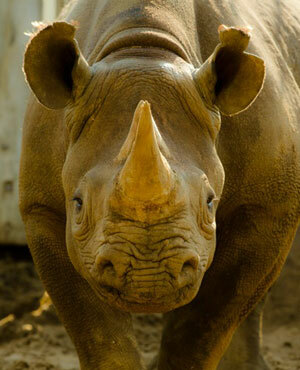 Rhino horn is used to make traditional medicine, which is mainly consumed in Asia. Porter acknowledged the proposal was not a "silver bullet" to halt poaching. "If it reduces poaching significantly let's carry on with it. But if it doesn't reduce poaching, then stop the sales." Rhino SA is a youth-driven initiative aimed at educating today’s youth about the ongoing slaughter of South Africa’s rhinos. The organisation falls under the Green Wall of Africa S.E.E. Projects (NPO). ENVIRONMENTAL CRIME HOTLINE: 0800 205 005. "It is our duty as Africans to be the voice of all living things - Tijana"
Rhino SA’s projects include various fund raising events, educational talks, as well as field events when provided with the opportunities. Our team consists of various highly motivated individuals, ranging from school children, to students studying Zoology, Law and Politics, to qualified members already involved in the working arena and conservation. We all share one common goal and that is to do all we can to save our beloved rhinos and natural heritage. Proceeds will go to the development of the Rhino SA Educational Program and the Onderstepoort Rhino Horn DNA Database Program by Dr Cindy Harper. Our logo was cleverly designed by Tijana Huysamen and consists of a Black Rhino as the grey border surrounding a White Rhino as the landmass of South Africa. 2012 is the year of the Olympic Games and the mascot for the South African Olympic and Para-Olympic teams is a rhino named Chikuru. To coincide with this, Rhino SA will be selling medals to schools, companies and sporting facilities. These medals contain the Olympic rings, as well as a Black Rhino (photo by Paul Jennings) on the front. These medals can be custom printed with the school’s/company’ name on it. The Rhino Lapel Badges follow the same concept as the AIDS or Cancer ribbons. The aim of Rhino SA is to have students and business representatives all over the country wearing these lapel badges to keep the rhinos in everyone’s mind as they will represent a silent voice for our rhinos.